Every household ends up with scrap metal at some point. 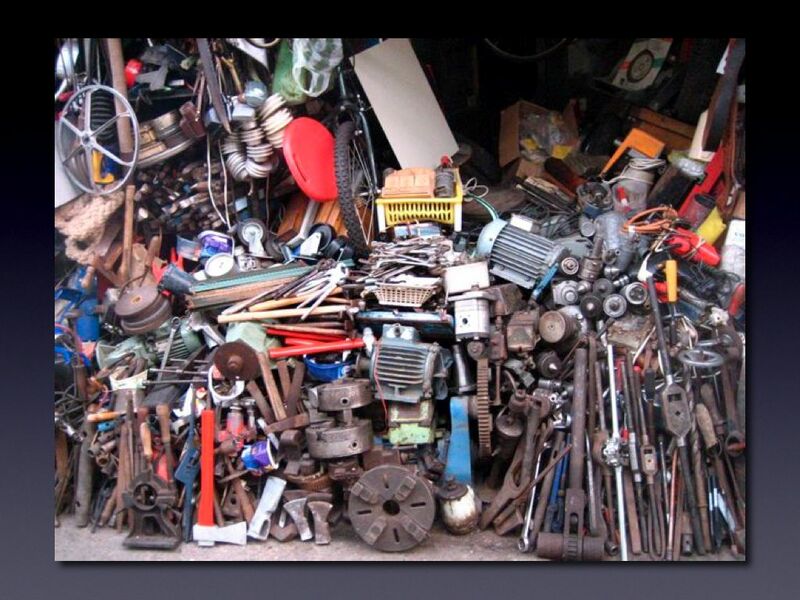 A comprehensive list of household scrap metal items is probably impossible to put together, but a short list can give you a good idea of what constitutes household scrap metal: air conditioners, aluminum cans, metal boats, bikes, brass items, cars, car parts, batteries, copper, gym equipment, lawn mowers, radiators, stainless steel, bed frames, bicycles, car jacks, basketball hoops, carriages and strollers, cast iron tubs, garage door openers, golf clubs, fans, metal file cabinets, mail boxes, gutters, washers, dryers, range hoods, stoves, toaster ovens, theaters, freezers, hot water heaters, humidifiers, ironing boards, ladders, storm doors, dog crates, lamps, tire rims, refrigerators, metal drums, mopeds, metal shelving shovels, pots and pans and ski racks. 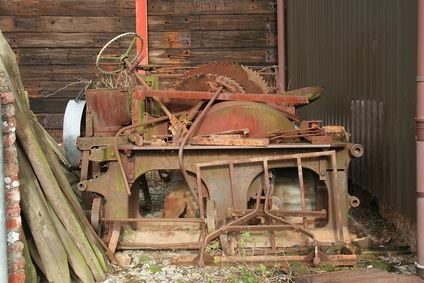 Scrap metal from businesses and farms can be sold as well. Some scrap metal items generated by business and farms include tractors and related equipment, tools, filing cabinets, signs, ladders, nails, staples, storage bins, metal chairs and desks, pipes, troughs, spigots, metal drums, wheelbarrows, metal buckets, oil and propane tanks, wagons, water tanks, metal sheds, buses, caravans, highway trailers, construction equipment, excavators, loaders . 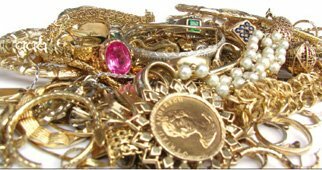 If you have gold, platinum or silver jewelry that you no longer wear or that are missing parts that cannot be replaced, or metal coins you no longer want, you may want to sell them as scrap. Will buy earrings, bracelets, necklaces, tie pins, money holders, coins and pay a price based on the price of the commodity on the day you sell. 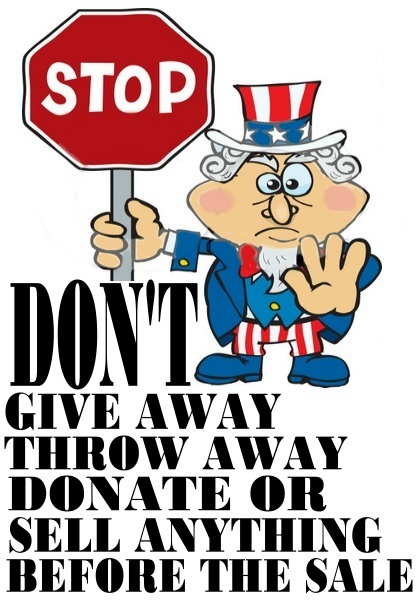 You can through away scrap, or give it away, or pay to take it away. 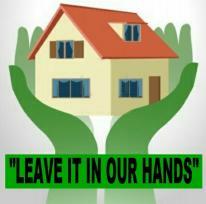 We will sort and clean and pay you for the scrap and anything that has value that you don’t want.